I’ve had a bunch of posts in my drafts folder, for projects I’ve completed over the past few months. So even though I completed my 3rd stained glass circles project back in February, I am just now posting about it. I actually completed this project 6 weeks ago, but haven’t had time to post about it. The bookcase came from my friend Martha back in May 2015, and I’ve always planned to paint it high-gloss red. I spent the summer of 2015 building a catio [outdoor cat enclosure] for our cats. I thought I was being thorough by covering the chicken wire seams with strips of luan plywood. But last Fall I noticed the luan was looking a little worse for the wear. The top layer was peeling off, it was warping in places, and was starting to turn colors due to some type of mildew growth. The Zombie Heads Lit Up!!! Aka “we finally found the light switch that controls the outlet on the deck”! The superglue failing was a risk we took in early March when we fixed our loud/rattling bathroom fan with a drop of superglue. The fan started getting loud again right before we left for Hawaii, so the day after we got home I ordered a replacement motor from Amazon. Replacement motor = $40, replacement fan = $100. Life is much cheaper when you know how to fix things yourself! We pretty much did nothing on Day 9, and on Day 10 hubby packed [it takes me 10 minutes to pack, it takes hubby about 4 hours] while I went on a 2 hour photo shoot around the hotel grounds. Day 8. This was our most fantastic adventure yet! 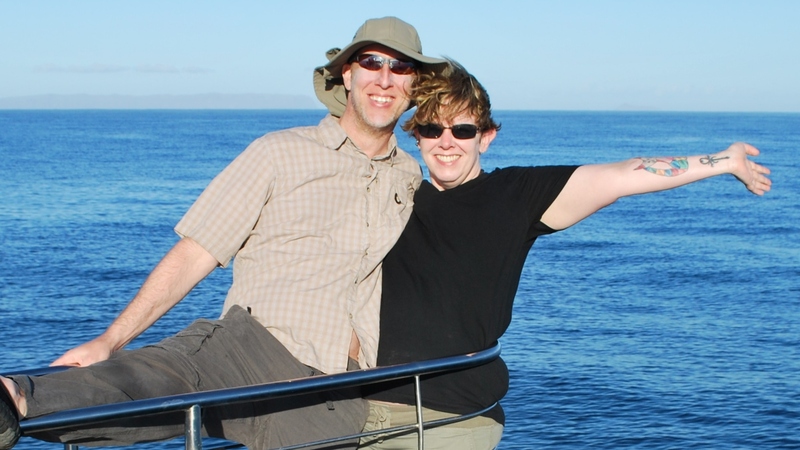 We booked an all-day trip with Blue Dolphin Charters to sail on their 65′ catamaran up the Nā Pali Coast, then 17 miles offshore to the Forbidden Island of Ni’ihau to snorkel. On Day 6 we rented full-face snorkel masks and tried our hand at snorkeling on the south shore. On Day 7 we went back to the Lighthouse Wildlife Sanctuary where we saw Laysan Albatross & more Nene. On Days 4 & 5 we did a TON! We checked out Wailua Falls, took a ride on the Kauai Plantation Railway and fed wild pigs, visited the Kilauea Lighthouse & Wildlife Sanctuary where we saw lots of Nene, walked out on Hanalei Bay pier, had lunch in Princeville, and visited Manini-holo dry cave & Waikapale wet cave. Phew! I met hubby in 2011 & and married him in 2012. We decided to take a delayed Honeymoon to the Big Island in 2014 and loved Hawaii so much we’ve decided to retire there [someday]. Which meant we needed to check out the other 3 major islands to see which one we liked best 🙂 This year it was Kauai’s turn.